At some point, the Cell’s door, of the old and poor building, would open and the Elder, who had been inside involved in discipline and heart prayer for the salvation of his soul and the souls of his brothers, would appear. His face was always exhilarated and his attitude cordial. He would receive us and ask us to sit in the “outdoors dorter” on seats made of pieces from tree trunks. He would shake our hands and at the same time offer us loukoumia and water according to the tradition of Mt. Athos. There, under the trees, with the songs of the birds “as the vocal drone”, the Elder would start talking to us with “the words of eternal life” (John 6:68) either answering our questions or making comments on his own on the basis of information from “above” about the needs of each one of us. Here is the miraculous thing! The pilgrims were of various ages, professions, characters, spiritual and intellectual levels. Some of them were conscious of who was sitting in front of them and exactly what they were looking for. Some were there because they had heard something about him. Others were there with an ill-tempered and negative mood. He, guided by the Holy Spirit, offered “as every man had need” (Acts 2:45 ). I will never forget, in relation to the above, the Elder’s behaviour towards a Spanish student of Fine Arts, follower of the Pope, who happened to be amongst us in the “outdoors dorter” at some visit. At some point, the Elder turned to him with affection and interest making use of some Italian words and phrases he remembered from the Italian occupation so that he could communicate with him. Then, he gave him many pieces of advice in the Greek language and revealed to him many truths that, as he explained to us, the Holy Spirit would help him feel regardless of the fact that the different language would not allow him to understand. More specifically, when another visitor made the comment that “the foreign student does not understand what you are saying to him in Greek”, he answered that “he will understand what he is meant to understand”. His advice to all his visitors was to have a spiritual father. This is why after giving answers and advice to questions or problems put forward by the people, he would finally send them to their spiritual fathers to lay the burden of their sins, which were the cause of all problems, under their stoles. I would like to mention something else extremely important that the Elder said on another occasion. I was with a group of people in the “outdoors dorter”, when another group came, amongst whom there was an assistant professor of the Medical School of the University of Athens who held the Elder in great veneration. The professor asked Fr. 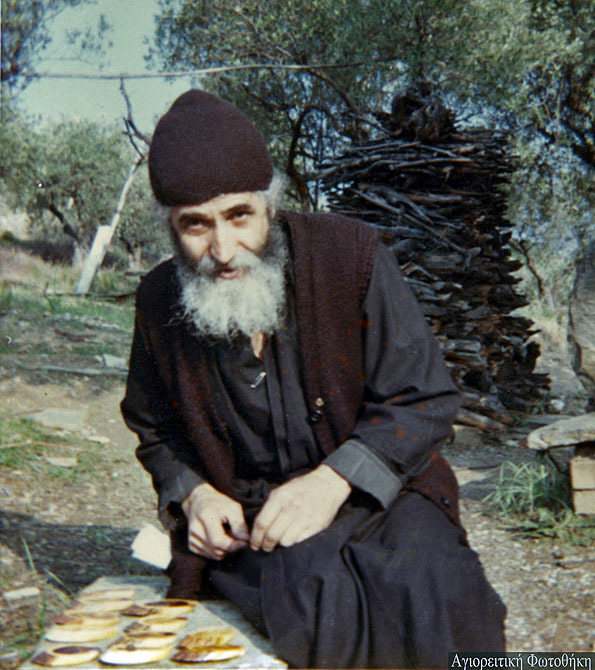 Paisios at some point with pain, interest and love: “There are, Elder, many colleagues of mine, doctors, who have good intentions, good feelings, “bowels of mercies” (Colossians 3:12 ) but do not believe. What can we do for them?” “Listen,” says the Elder”, “pray for them because under these circumstances they deserve God’s mercy.” He had said the same about some teachers and professors on another occasion. The Elder, as a genuine man of God, had consolidated and immovable ideas “in the things he hast learned and hast been assured of” (2 Timothy 3:14 ). He knew and taught “by word and deed” (Romans 15:18 ) that in the issues of faith there is no swaying, negotiation or compromise. He clearly knew that there is no greater unhappiness and bigger danger for the Christian than to deny his faith and accept deceit. As we know, many deceived people, people that did not feel rest, urged by his reputation, went to meet him and discuss their existential problems. It is true that many of those people went there full of delusions and left repented, seeking then guidance in their spiritual fathers. At some point, I remember, he mentioned something overwhelming as regards the departed ones and our stance for them. There was a suicide once, a person who put an end to his life by falling from a bridge into a river. This man, as the Elder said, repented while he was falling, asked for forgiveness, his repentance was accepted and his soul was received by a Lord’s angel. We must learn not to despair; and pray for our brethrens asking for God’s mercy and according to the words of St. Isidoros Pilousiotis: “do not forerun God’s judgment.” (P. G. 78, 377) and be judges of the others. 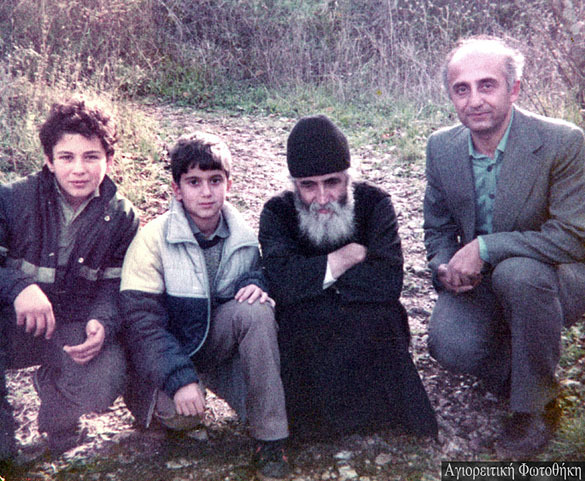 This entry was posted in 20th century Saints, Orthodox Theology, St. Paisios of Mount Athos.